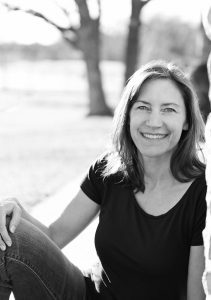 Sharing a few of my Lenten Journal entries with hope they may inspire you as you pursue joy. These also appear on Circle of Catholic Women. This time of year, the morning light begins to change. Each day on my short commute to the gym, I drive past a cross-street with a long boulevard of trees leading into a neighborhood. I regularly pass this street, but one morning this week, as I waited for the red light to turn green, I looked to the right and noticed the tree lanterns glowing in early dawn. It was magical and inviting. I brought my husband there the next morning and took this photograph. When I look at the picture, I’m reminded of the joy of that early morning light warming the still-cold landscape that longs for spring. 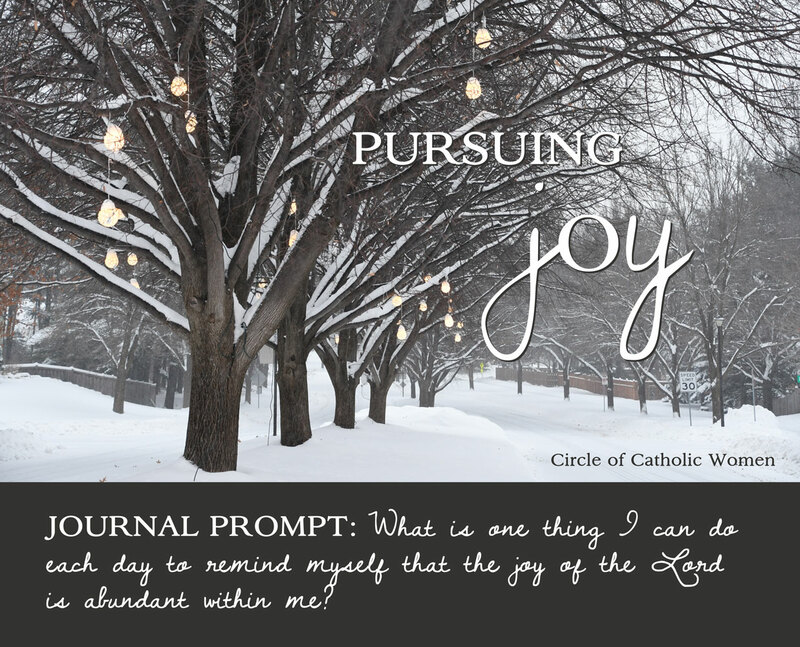 Lenten Journal Prompt: What is one thing I can do each day to remind myself that the joy of the Lord is abundant within me? The other day, I noticed this beautiful cluster of dried flowers in my neighbor’s yard. When I asked him if I could take a picture, he smiled and told me about how his wife had wanted to cut them down, but he thought they would add beauty and contrast to the winter landscape. … That conversation got me thinking… We all have pieces of our past we choose to either leave behind or bring into the next season of our life. 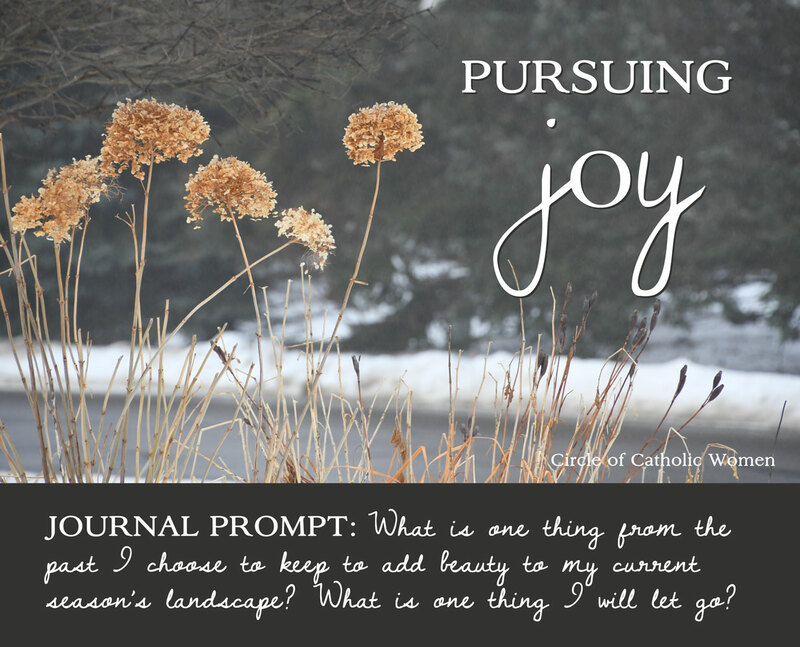 Lenten Journal Prompt: What is one thing from the past I choose to keep to add beauty to my current season’s landscape? What is one thing I will let go? We often look to big calendar dates, new seasons, or specific milestones—January 1, first day of spring, a birthday or anniversary—to give ourselves a new beginning, a fresh start, renewed energy. What if we didn’t have to wait for New Year’s Day or turning a decade older? Each morning is a new day. In fact, each minute of the day is a new timeframe, a reset, a chance to begin again. … What if time wasn’t a factor at all? What if gaining a new perspective, a clean slate, a bright future, a revised story… were as simple as opening our journal to a new, blank page? 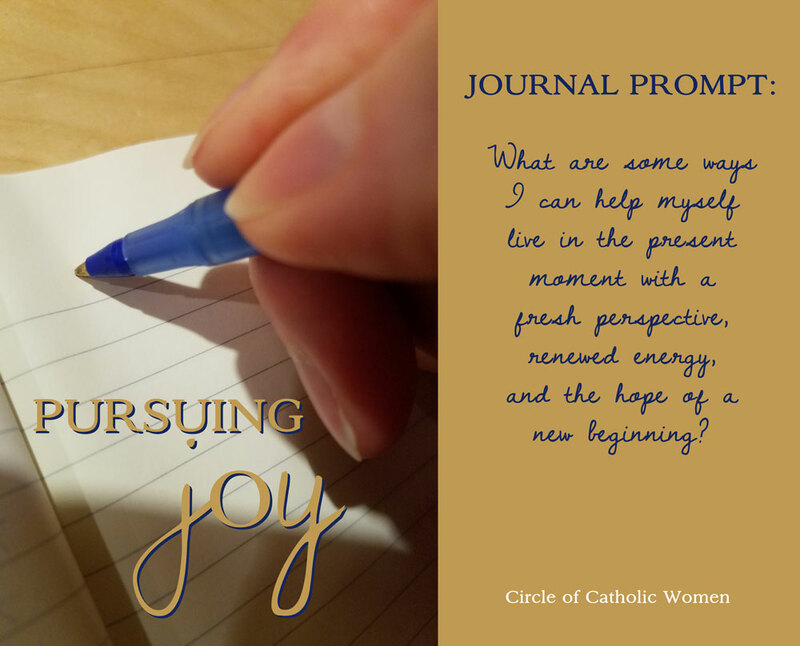 Lenten Journal Prompt: What are some ways I can help myself live in the present moment with a fresh perspective, renewed energy, and the hope of a new beginning?